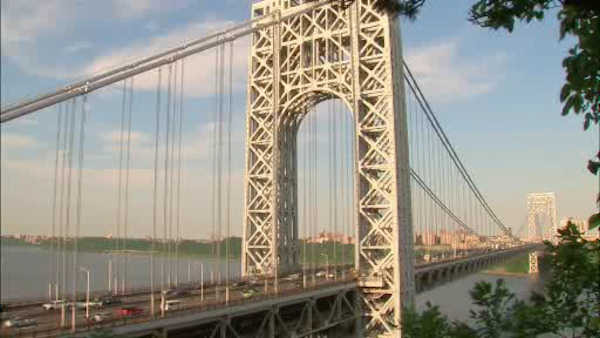 NEW YORK (WABC) -- A commuter alert to drivers: You may want to avoid the George Washington Bridge this weekend. That's because construction work has fully shut down the southbound road that links the GW Bridge to the Harlem River Drive. And one of two lanes on the northbound roadway is closed. The lanes are inaccessible until 8 a.m. on Monday. Southbound Alternates: From the George Washington Bridge, motorists may use the southbound Henry Hudson Parkway or continue eastbound over the Alexander Hamilton Bridge to the southbound Major Deegan Expressway. To access the Harlem River Drive for destinations further south in Manhattan, motorists may use the Macombs Dam, Madison Avenue or Third Avenue Bridges. Northbound Alternates: Motorists may continue on the Harlem River Drive to Dyckman Street and then south on Broadway to 179th to access the George Washington Bridge, or motorists may exit the Harlem River Drive at the 8th Avenue/W.155th Street exit and use Amsterdam Avenue northbound for bridge access.